Karen House : Feb. 5, 2019, 11:13 p.m.
UPDATE 2/6/2019 10 a.m.: Anyone wanting to help the family that lost their home may contact Johnny Laymon at 423-305-4972. 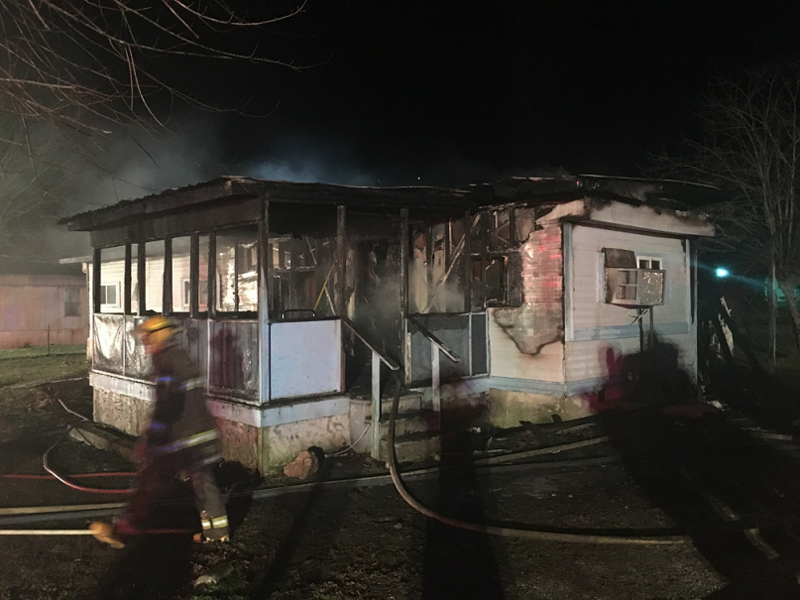 Feb. 5, 2019 – A home was destroyed by fire on West Valley Road Tuesday night, but the owners were out of town and no one was injured. 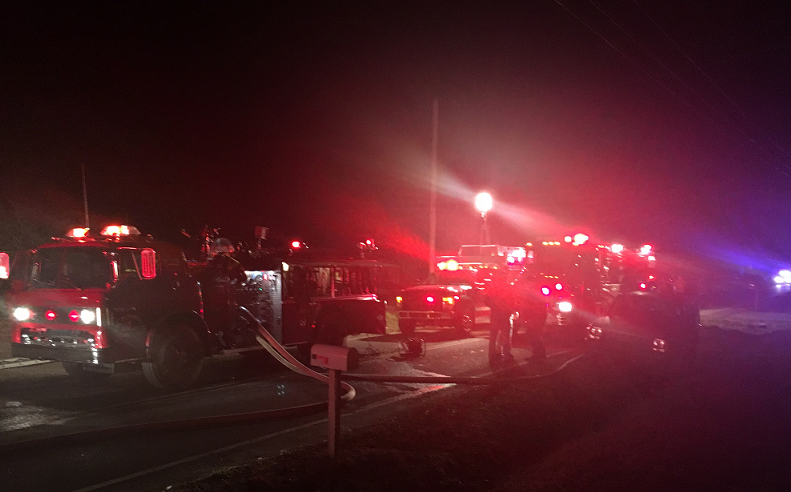 At 7:50 p.m. Feb. 5, Dunlap Fire Department was assigned to mutual aid for Southend Volunteer Fire Department, for a residential structure fire on West Valley Road. Dunlap 5 Engine, 1 Tanker, and 2 Rescue responded to the scene. Dunlap 1 Tanker provided water supply operations for Southend, with members assisting with suppression and water supply. It was not immediately known if the three occupants of the residence were still inside, but after a search was completed, family members advised that the owners were out of town. Sequatchie County EMA was on scene and contacted the Red Cross for the occupants. Puckett EMS, Sequatchie County Sheriff’s Office, and Dunlap Police were also on scene to assist. No injuries were reported from the 13 Dunlap members on scene. After approximately an hour and a half on scene, Dunlap Fire returned to service. Photos courtesy of Lt. Christopher Walker, Dunlap Volunteer Fire Department.